In the next of our series, we feature a few more of the recent projects we have helped fund. Funding was provided to the Head and Neck Clinical Nurse Specialist Team at the Queen Elizabeth Hospital to produce Oral Care packs for patients going through chemotherapy, radiotherapy or both, for treatment for Head and Neck Cancers. The patients will benefit as it will help them be involved in their own care. The packs will include Pen Torches so the patient can check their mouths for any changes during treatment, there will also be soft toothbrushes as treatment makes the mouth very sore. 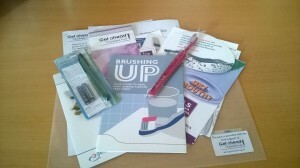 Leaflets on the specific drug treatments will also be provided. Whilst the cost of the packs is only about £5 each, it is considered above NHS provision. We recently funded the costs for two Doctors from Queen Elizabeth Hospital, Birmingham to attend the annual British Association of Endocrine & Thyroid Surgeons conference in Rome to present findings from work undertaken at the hospital. 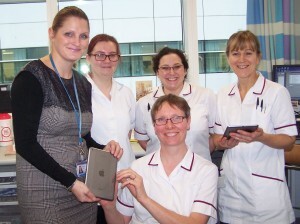 Get A-Head has purchased two mini iPads and specialist speech software for the Speech and Language Department at the Queen Elizabeth Hospital, Birmingham which will allow patients to keep communicating with family and friends using synthesised speech, when theirs has become difficult to understand following surgery and electro-larynxes are unsuitable for them.